Let me tell you, a city known for the world’s first atomic bomb being dropped on it, is 60 years later a wonderful place to visit in Japan. I really can’t recommend Hiroshima enough, it’s simply brilliant. If you travel to Japan and don’t get there, you’ve really missed out on a city that has perhaps performed the biggest rebuild of any city on this Earth, and today is vibrant, fun, moving and beautiful all in one. Oh, and did I mention friendly? 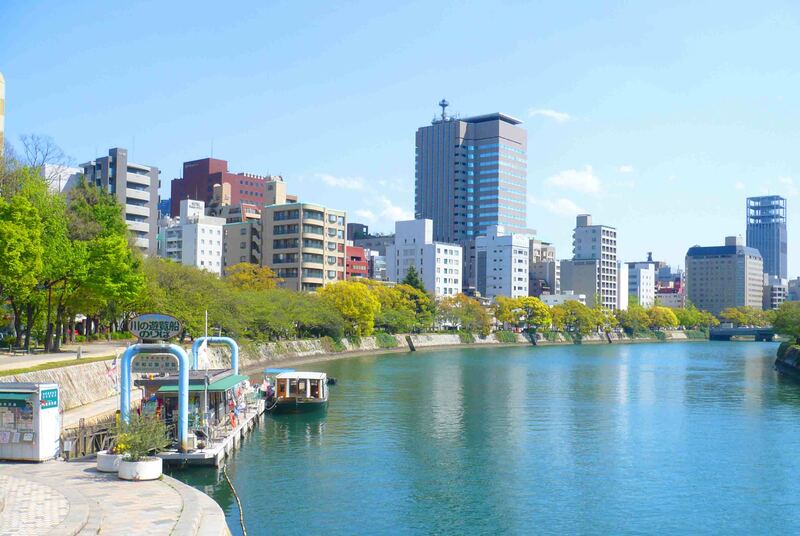 Hiroshima – really is picturesque. I stayed at this wonderful hostel – The Hana Hostel. A really warm, friendly hostel which was well priced (I think I was paying about 30 bucks for a single room, with toilet but shared shower) and all the information you could ask for. Ten minutes walk from the main train station, another ten to the baseball ground. 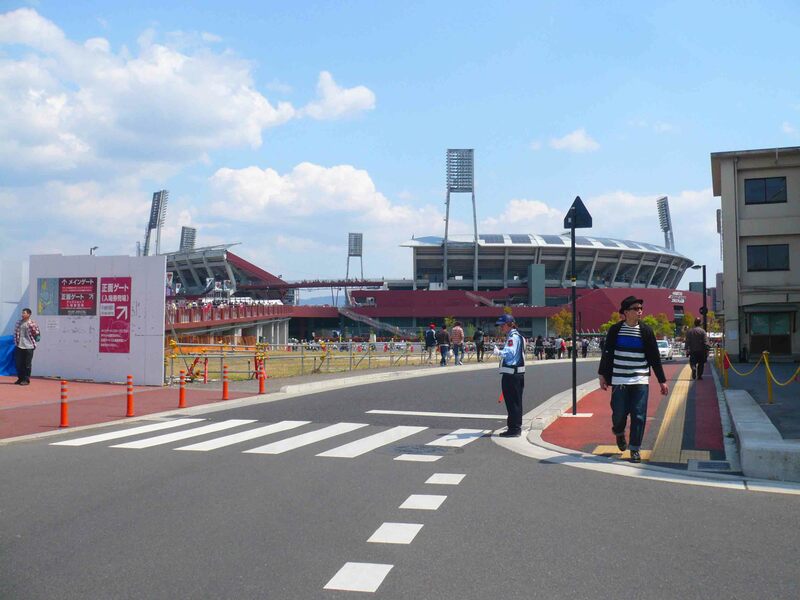 Walking to the baseball stadium. 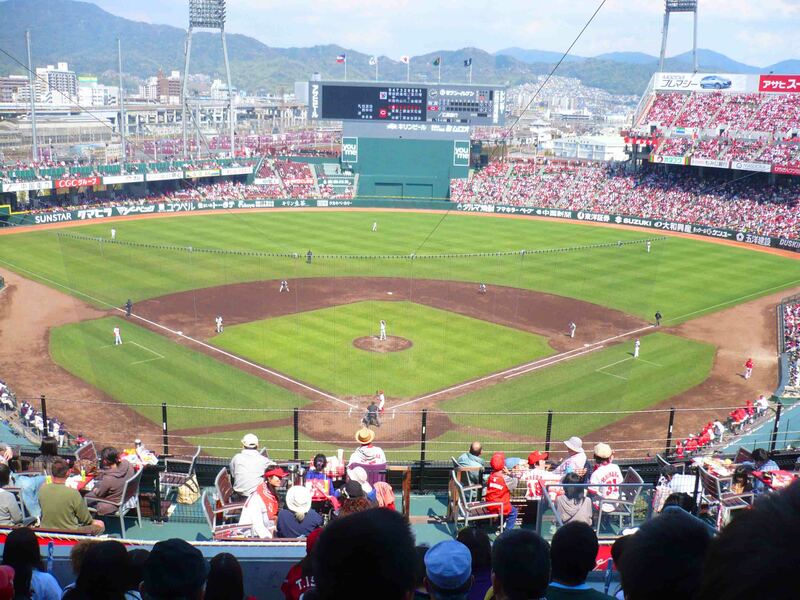 Hiroshima is where I went to my first ever baseball match, and sure the actual game didn’t grab me in any way, the experience was fantastic. The cheering and singing, the crowd had a lot of fun even if their team lost and there were no runs scored at all for the first 5-6 innings of the game. 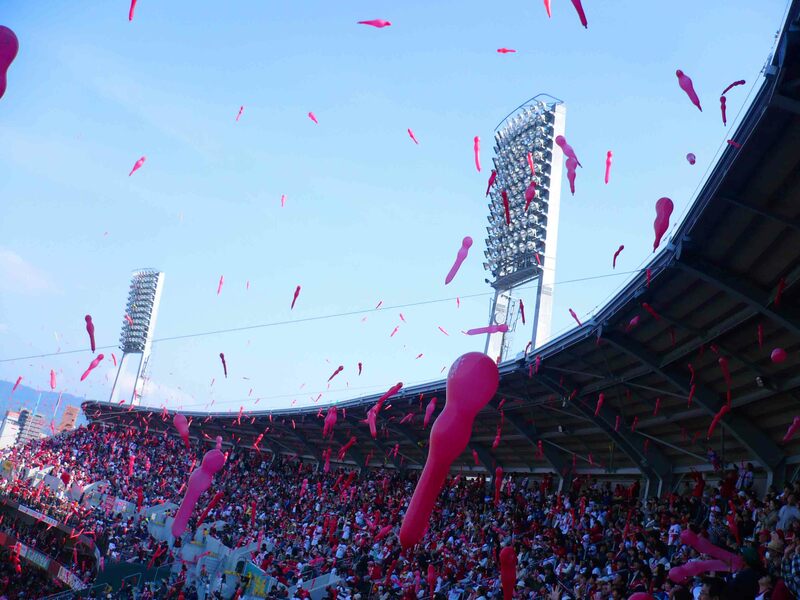 At the ‘seventh innings stretch’ (that’s the break between the two teams batting for the seventh time) everyone let pink helium-filled balloons into the sky. Oh, and the mascot for the team is the ‘Carp’. Seriously. And the day I was there they were playing the Swallows. For true! Balloon release at the seventh innings stretch. 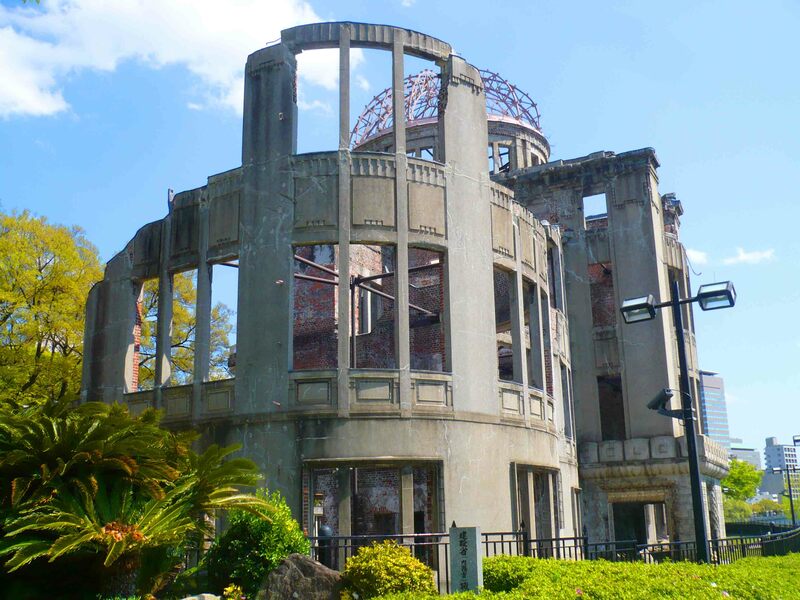 But the thing that you’ll want to see in Hiroshima as a visitor is the A-Bomb Dome and the Peace Memorial Museum. The museum is set in the middle of the Peace Memorial Park, there are statues and remembrances, and the story of that fateful day in 1945 is told so movingly inside the museum. The A-bomb dome is actually a building which survived (in part) the explosion and stands still today. Memorial at the Peace Memorial Park. The A-bomb dome juxtaposed to the modern city. 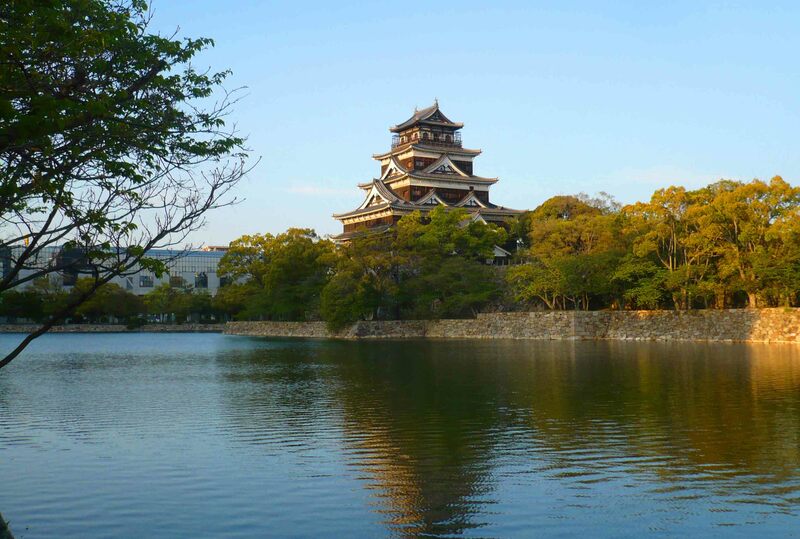 Hiroshima also has a castle inside a moat in a beautiful park which is worth visiting. There are a number of bars and pubs as well which are friendly and great places to stop and drink, dance etc. And the city has a wonderful tram system too so being a Melbournite I sort of felt at home! The castle – rebuilt, across the moat. 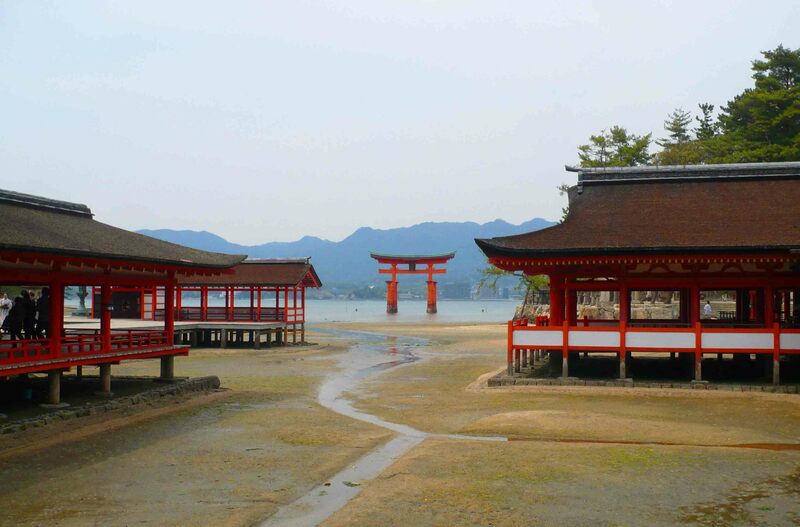 And if you have another day it’s only a short trip to the island of Miyajima, where you can see some of the best temples Japan has to offer, in a beautiful island setting. It’s also great for walking and is a very popular tourist spot! 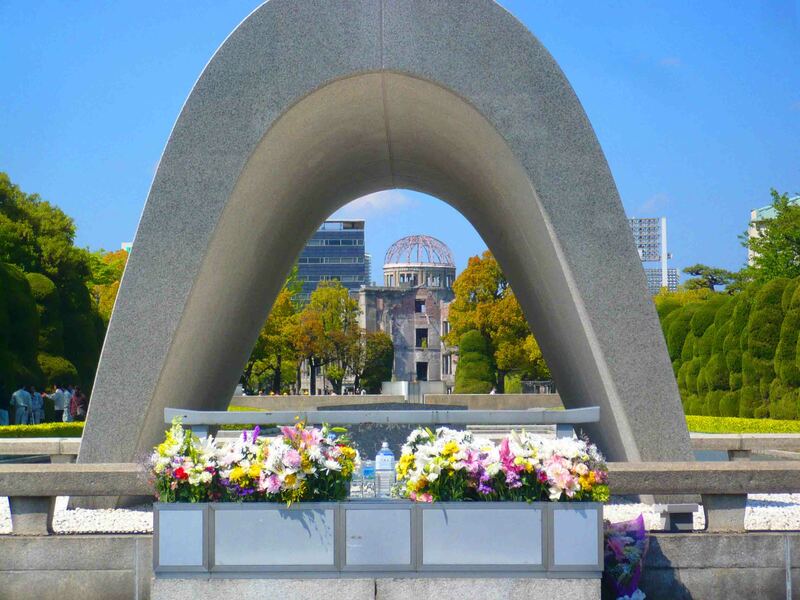 And there’s more – Hiroshima is a place I’d love to return to and explore further! Today, the spotlight only showed you some of its treasures. Every visitor to Japan should go there, because this city has a lot to do with the way Japan is what it is today. Visit to understand what happened, how Japan was affected, and how Japan rebuilt. But look further too, there’s so much to it! I still haven’t been there. Hiroshima is beautiful indeed! Japan is seriously underrated. I’d love to visit Japan today – have often wondered how easy or difficult it is t go independently if you can’t speak the language etc? 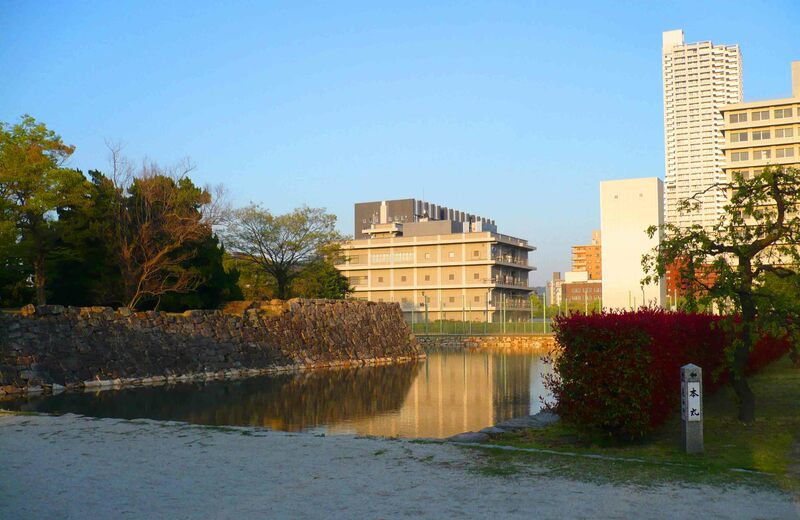 But I’d be so fscinated to see Hiroshima if Iwent – it’s always interesting to see places that have done wondeers with regenerating themselves. And I had no idea they even play baseball in Japan! 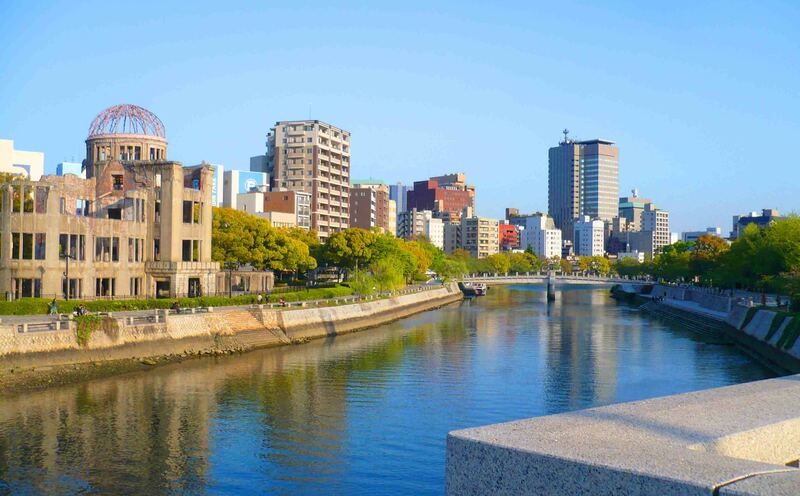 I’ve always seen pictures of modern Hiroshima and wondered how on earth that city pulled itself out of the darkness of 1945 to be the picturesque place of today. Thank you for sharing – another one for the bucket list!